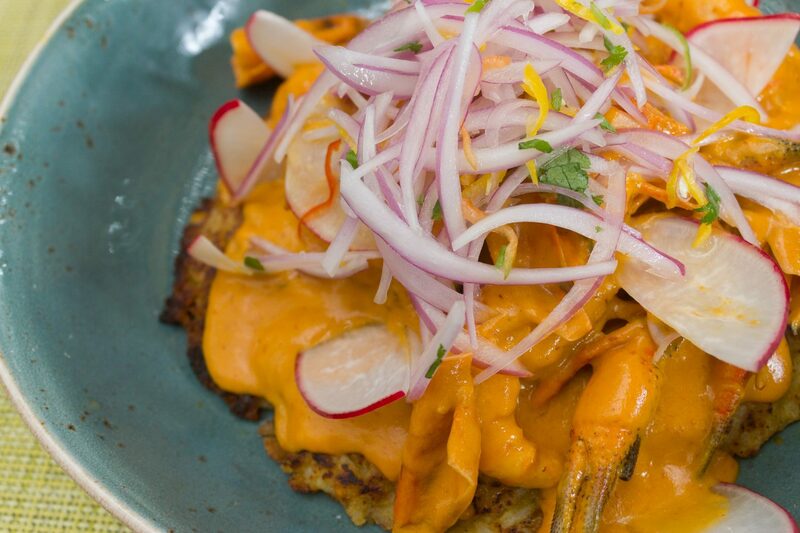 Given the momentum behind Peru’s culinary scene, it’s no wonder why travelers plan around restaurant reservations. But deciphering the carta (menu) at a Peruvian restaurant can be a bit difficult if unfamiliar with the basics. 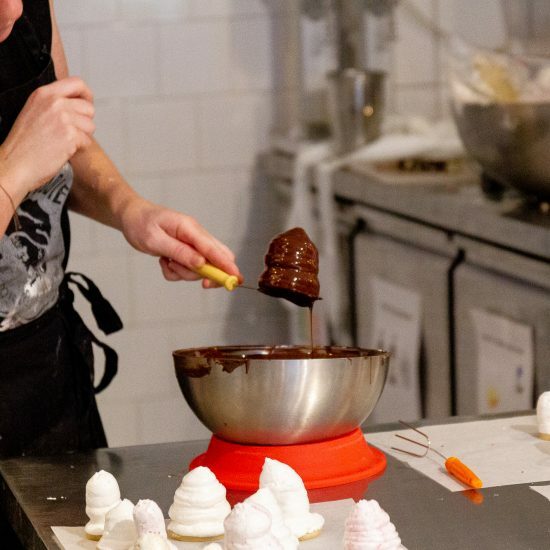 So here’s a quick food guide to Lima’s most popular dishes, desserts and drinks. Lunch is the biggest meal of the day in Lima and seafood is the cornerstone of this midday feast. 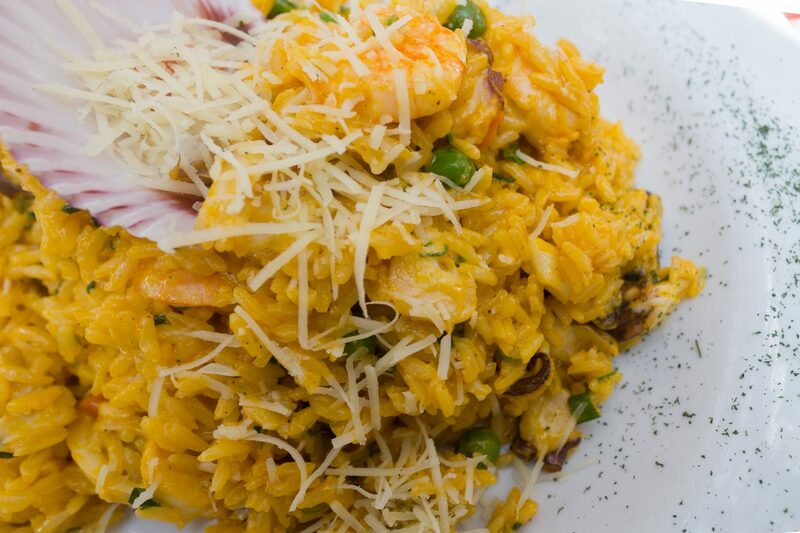 Brought to the Americas by Spanish colonialists and embraced in Peru as one of its own, arroz con mariscos is expertly-seasoned rice with a seafood mélange of shrimp, mussels, octopus, scallops and fish. Arroz con mariscos at El Verídico de Fidel in Lima. 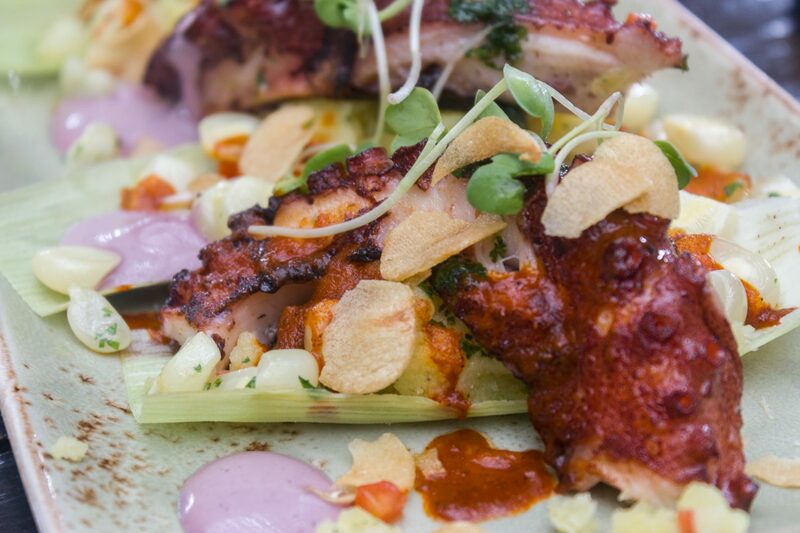 Iconically Limeño and the most popular lunchtime eat, ceviche is fresh raw fish or shellfish “cooked” in lime juice. Typical accompaniments include kernels of choclo (corn), raw red onion julienne and camote (sweet potato). There’s one rule to eating ceviche and that’s never do so after lunch. Lenguado (sole) ceviche at La Mar Cebichería in Lima. 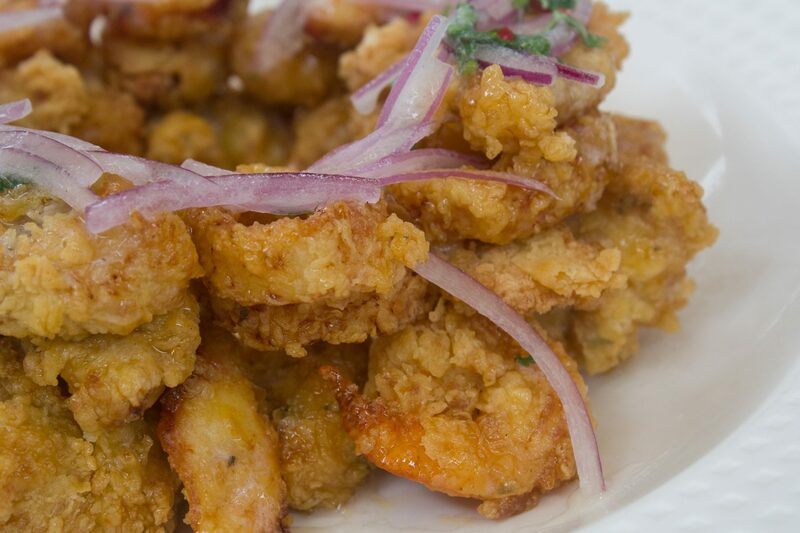 Jalea is a general term for anything breaded and fried, but usually refers to fish or shellfish. 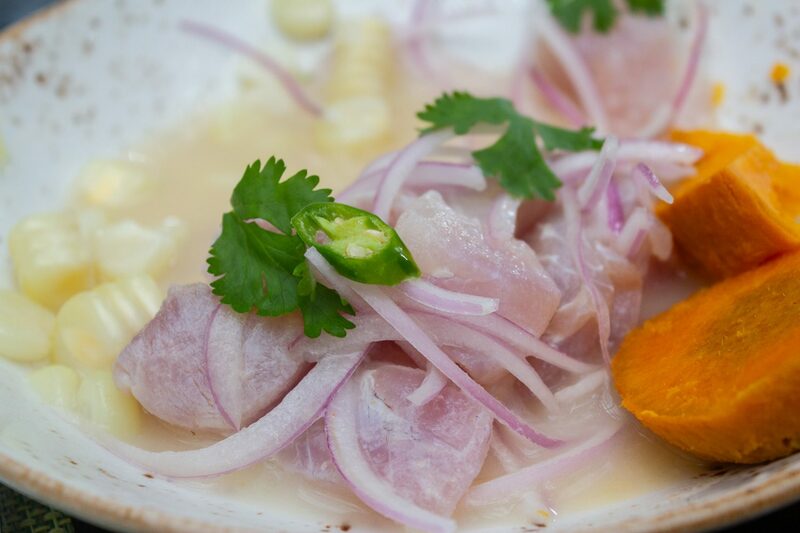 Similar to ceviche, typical accompaniments include raw red onion julienne and leche de tigre (juice from ceviche). Jalea mixta at the restaurant Lima 27 in Lima. Pulpo a la parrilla is an octopus dish. It’s lightly boiled, dipped in a mixture of seasoned oil, fat or butter and grilled to a crispy outer but tender inner. Pulpo a la parrilla at La Mar Cebichería in Lima. 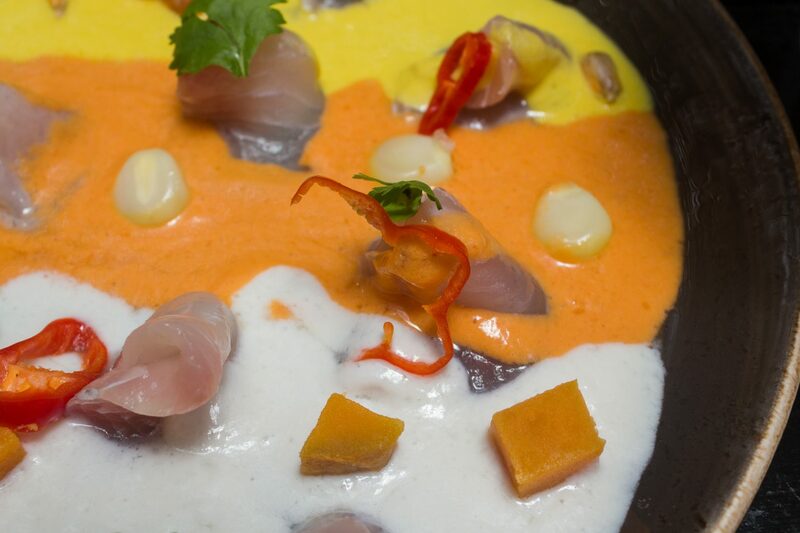 Ceviche’s less famous cousin, tiradito is from the Japanese-Peruvian fusion cuisine known as Nikkei. It’s “cooked” like ceviche but prepared with fish sashimi and a mildly spiced ají amarillo (yellow chili) or hotter salsa rocoto (red chili sauce). La Mar Cebichería’s tiradito with three sauces. Ají de gallina is a popular Peruvian dish of shredded chicken in a creamy mild sauce of yellow chilis (ají), milk, bread, cheese and nuts; accompanied by a hard-boiled egg, black olives and rice. Anticuchos are animal hearts – typically chicken or beef– on a stick. The meal originated in Peru and was later incorporated into the cuisines of the surrounding Andean states. La Lucha Sanguchería’s chicharrón sandwich. Arguably Peru’s most (in)famous dish, cuy is barbecued, fried or roasted guinea pig. 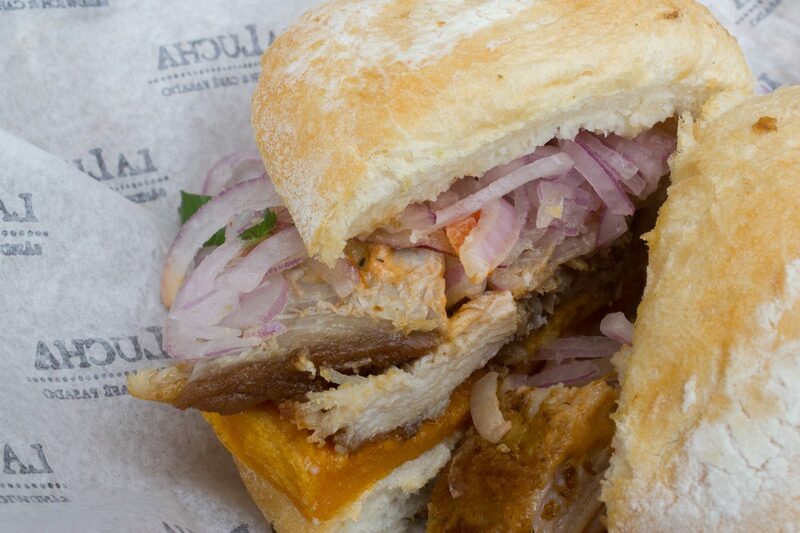 There’s not much meat on the Andean animal and its traditional presentation is whole. (Think head, feet, teeth and all.) 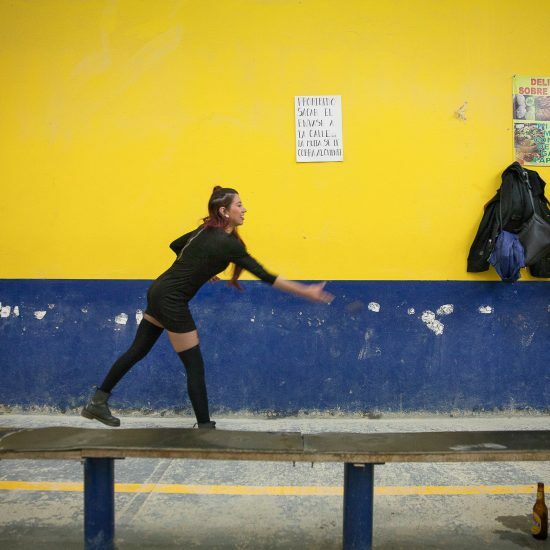 Mistura, Peru’s Week of Culinary Adventure has more on the BBQ’ed cuy. A more recent addition to Peruvian cuisine, lomo saltado is part of the Chinese-Peruvian fusion Chifa. The simple dish is a beef stir-fry with tomatoes, onions, french fries and rice, and can be found on nearly every menu in Lima. 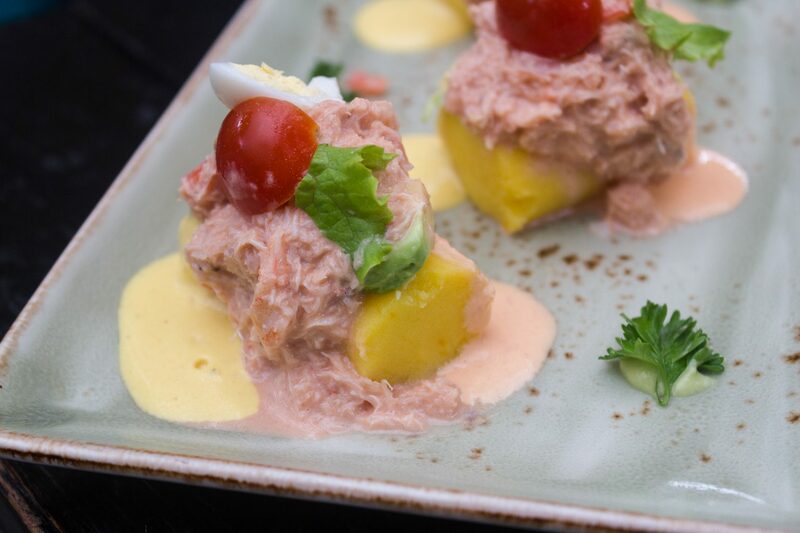 Causa is a potato terrine with yellow ají, onions, mayonnaise and tuna; typically accompanied by a hard-boiled egg, tomato and avocado. The cold starter is of contested origin. Some believe the dish evolved from a Pre-Columbian Incan meal. While others assert that causa was created from a combination of food supplies available during the War of the Pacific. Causa at La Mar Cebichería in Lima. The Peruvian equivalent of refried beans, tacu tacu is a simple yet savory dish of beans and rice. While tacu tacu has been reconstructed into a variety of gourmet options, the traditional serving is with sliced sirloin and a fried egg on top. Tacu tacu with salsa criolla at La Mar Cebichería in Lima. Papa rellena is a filling snack of mashed potatoes stuffed with meats, cheeses or other Peruvian dishes, shaped into a ball and fried. 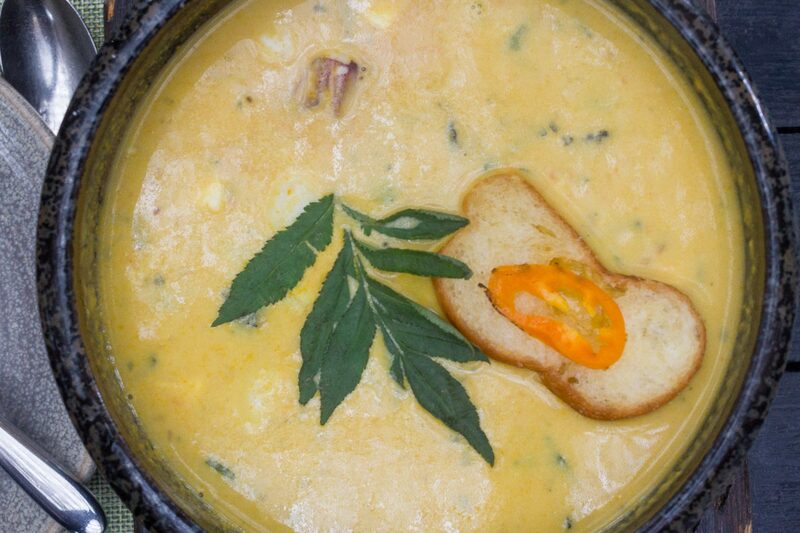 Chupes are heavy soups, similar to chowders or stews, found throughout South America. The soups are common fixtures in Peruvian cuisine and can include seafood, meat or poultry. A creamy chupe de mariscos at La Mar Cebichería in Lima. Crema de ají amarillo is a creamy yellow sauce from the ají chili. At the best the sauce can be mildly spicy and is a common dipping sauce for pre-meal bites and entrées. Literally “tiger milk,” leche de tigre is the spicy juice from ceviche. Translated as “Creole sauce,” salsa criolla is another mildly spicy accompaniment. It’s a toss of red onion julienne, lime juice, ají and fresh coriander or parsley. Salsa criolla is more similar to a pico de gallo than a traditional “sauce,” and is a common addition to dishes like jalea, chicharrón and tacu tacu. Made from the fiery rocoto pepper, salsa rocoto is in virtually every restaurant. Spiciness ranges from hot to super picante. Fried potato, sweet potato and plantain slices with ají and rocoto sauces at La Mar Cebichería in Lima. Another example of the culinary love child Nikkei, acevichado is tempura shrimp maki topped with sliced catch of the day and bathed in a rich, creamy sauce of the same name. Essentially Peruvian fried rice, arroz chaufa is a common Chinese-Peruvian fusion dish on the menu of every Chifa restaurant. 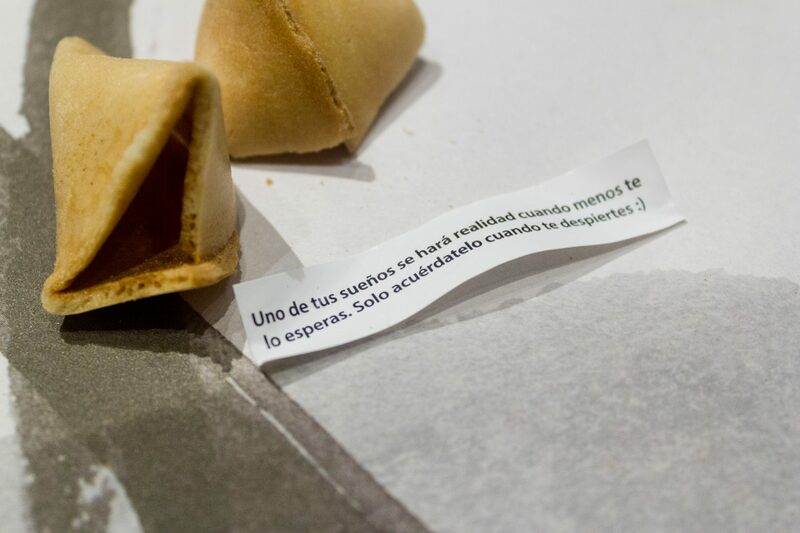 Fortune cookie at Madam Tusan, Chifa restaurant in Lima. 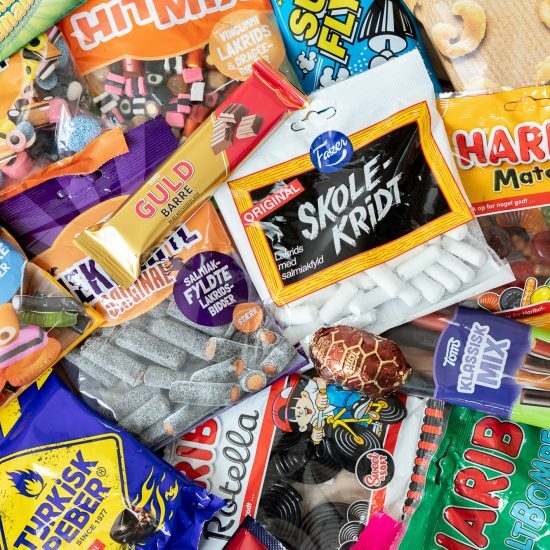 Peruvians are known for their sweet tooth. While this may not make dentists happy it does mean an abundance of postres (desserts) from which to indulge. A favorite of favorites, mazamorra morada is a “custard” of velvet-colored maiz, apples, pineapples, cloves, cornstarch and other spices. The dessert is common among street food vendors and is frequently served with arroz con leche (sweet rice pudding) and topped with cinnamon. 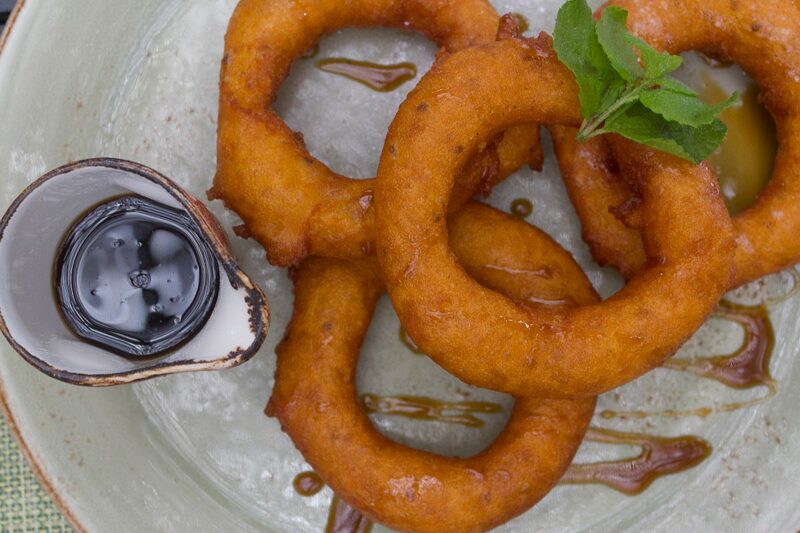 Affectionately called the “Peruvian doughnut,” picarones are deep-fried dough rings covered in a sugary cane syrup. 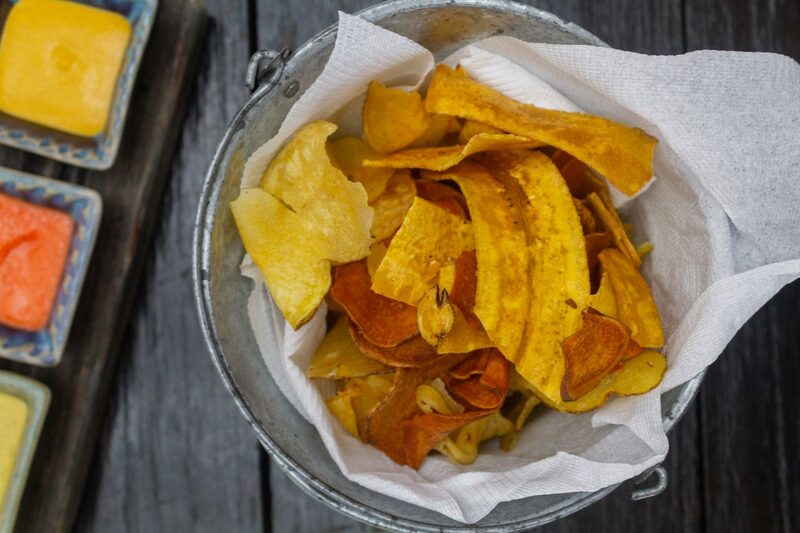 They may be an adaptation of buñuelos, a sweet snack created by African slaves from squash and sweet potato. Picarones with syrup at La Mar Cebichería in Lima. 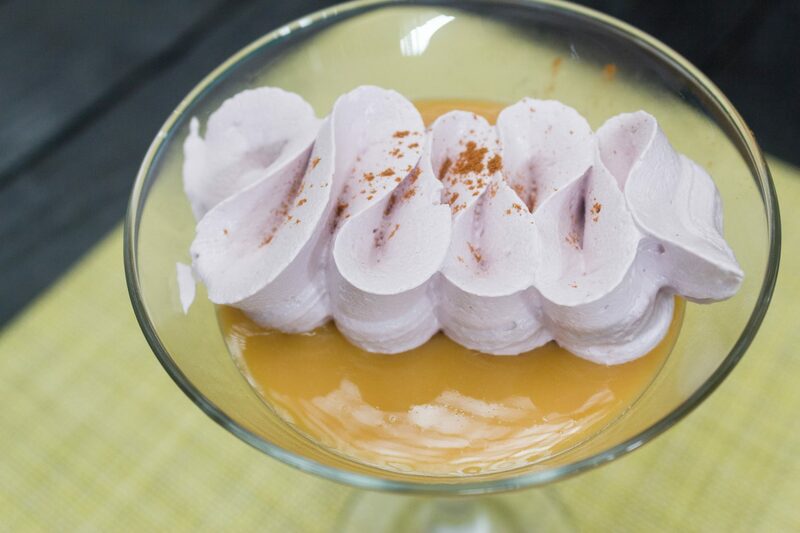 Literally “sigh of Lima,” this indulgently sweet dessert is a manjar blanco (dulce de leche) custard with an even sweeter meringue dollop on top. Suspiro limeño (or suspiro a la limeña) at La Mar Cebichería in Lima. 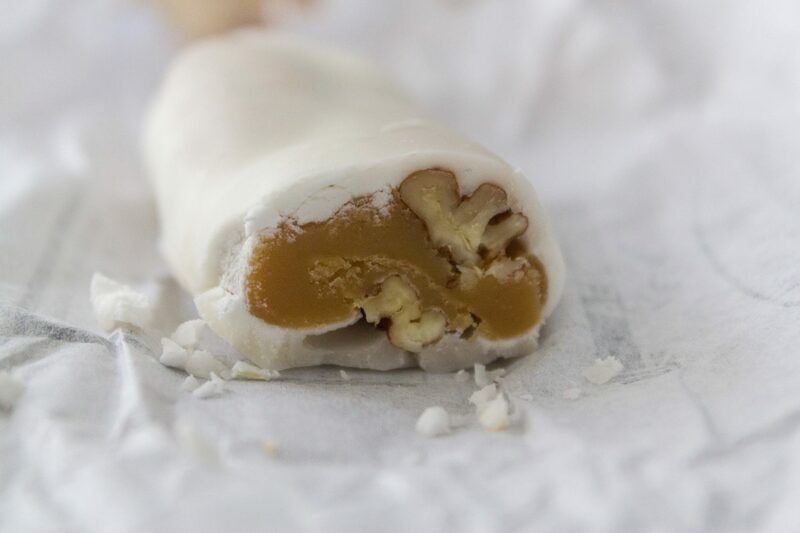 Created in the pisco-growing region of Ica, tejas are a Peruvian confection of pecans and semi-hard manjar blanco rolled into a thumb-sized treat and covered in white fondant icing. 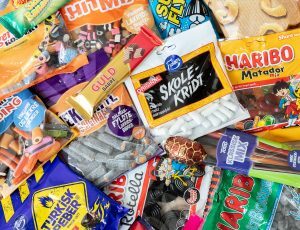 There are a number of other fillings, all with manjar blanco. Tejas covered in chocolate are specifically chocotejas. A velvety juice of purple corn, pineapple, cinnamon, clove and sugar; sometimes with lime, beetroot and other spices. 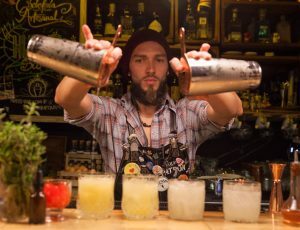 Made with Peruvian pisco, lime juice, ginger ale and bitters, the chilcano is less recognized, but no less potent, compatriot of the pisco sour. A hot, or tepid, herbal tea usually consumed for its medicinal benefits. Ingredients vary based on region but the warming beverage is typically barley, flax seed, horsetail herbs, lime juice and cinnamon. 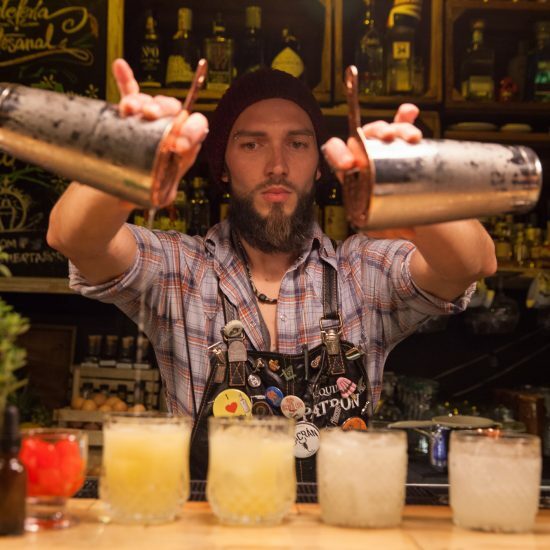 Peruvian macerados are typically pisco infused with fruit, spices or both. 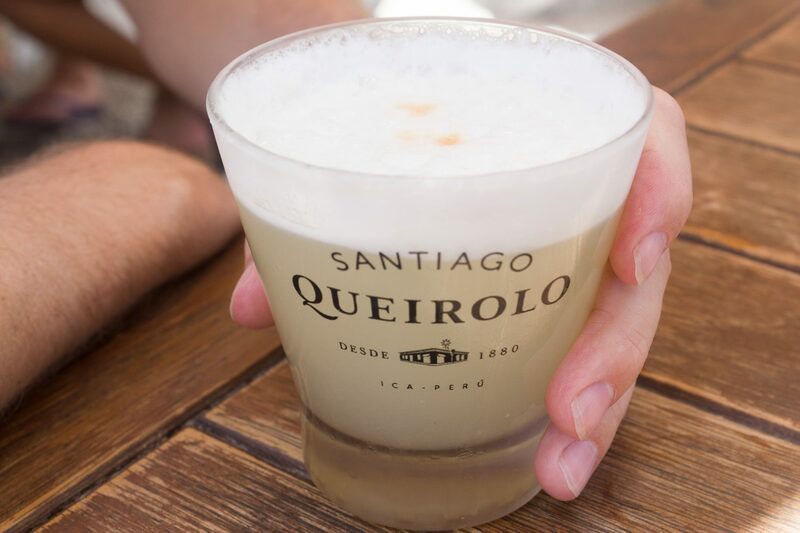 Made with Peruvian pisco, fresh lime juice, simple syrup, egg white and topped with a few drops of Angostura bitters, the pisco sour is a national drink that packs a punch. Classic pisco sour at Mangos in Larcomar, Lima. 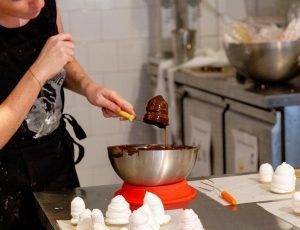 For more on what to try and where to dine in the Peruvian capital, check out Eat Lima in the Lima Mini Guide.